Wellness Wednesday! Stay FocusedFirst we eat then we do... – Juka's Organic Co.
First we eat then we do everything else. Eating is a necessity but cooking is an art. You get too much happiness from good food. So, eat delicious scrumptious tasty flavorful food always. Nothing brings people together like good food prepared at home. Food for the body alone is not enough to achieve happiness. There must be food for the soul as well. And cooking with love provides food for the soul. Happiness is homemade. Thus, have a jar of Juka’s Red Palm Oil Sauce and enjoy it all. Just add a spoon of sauce during cooking and get lost in the appetizing taste of your food items. One can’t think, love, sleep well if one hasn’t dined well. So, here is the red palm oil sauce coming to your kitchen from ours. You can add this sauce to any cooked grains and literally have a taste of Africa. 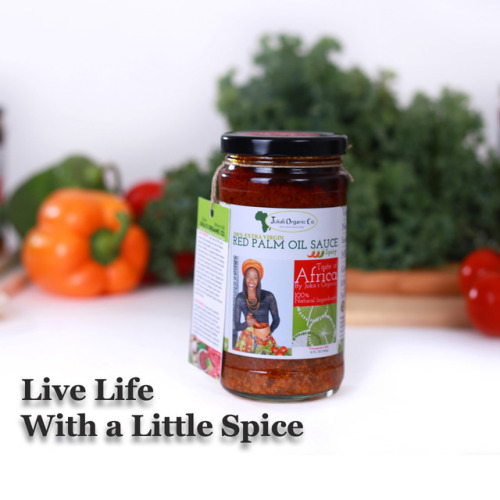 You can also add this delicious red palm oil cooked sauces to prepare fish, meat, tofu, vegetables, yams or even beans. It’s healthy, delicious & yummy as well.